When faced with the choice, will Nicole desert those who love her or will she stay loyal through the flames? Nicole and her friends have recently learned that they are much farther behind the evil Keitus than they originally thought. He has nearly reached his goal, and out of desperation, she is forced to study with and learn from an enemy. One she finds herself attracted to, one without scruples, one who doesn't care about the rising conflict with Keitus. Sanso is willing to break every rule to convince Nicole to abandon her responsibilities. And she is seriously tempted. Will Austin's love for her be enough or will the rising stress and pressure be too much? 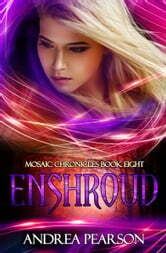 Download Enshroud now to find out! I love this book. If you have been into this series and want a real boost as to what is happening in this big “Mosaic” world, then dig in and loose yourself in this exciting world. Keitus is getting stronger by the minute and Nicole and Jacob and the crew, though doing everything they can think of, are staying one or two steps behind all the time. Yes there is a cliffhanger ad the end but never fear you will need a break to digest all that is going on before the final chapter. Read this you will love it too. The history is a little bit different than the previous books, with new interaction between characters that we didn't expect. It's super romantic and with a good closure. Totally worth the reading. 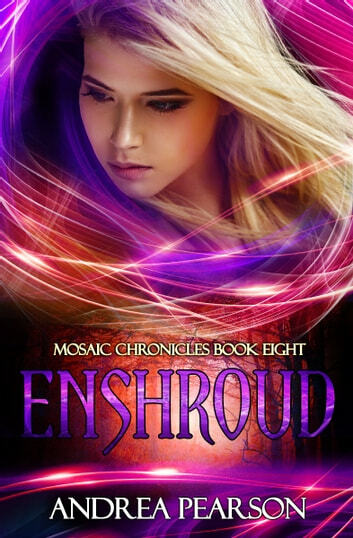 Another excellent installment in the Mosaic Series. I just get sucked right in and can't put it down! And, of course they are never long enough because I want to keep reading. This one will leave you begging for more. Nicole is off, continuing her dangerous quest to defeat Keitus. With the help of her friends, will she be able to accomplish her mission in time? Will Keitus again beat her to the talisman, getting the last one so he can finally take over and rule the world. Time travel, magic, alien creatures, love, action packed and well written, this book has it all. I can’t wait for Andrea Pearson to finish her next book of Nicole’s continued story. It's hard to put away the book for a break, as with the other books in this series. There is a constant flow of actions and I think Nicole and her friends get enough rest. But they cope well with the hardships. I will read the next (and last book) immediately.